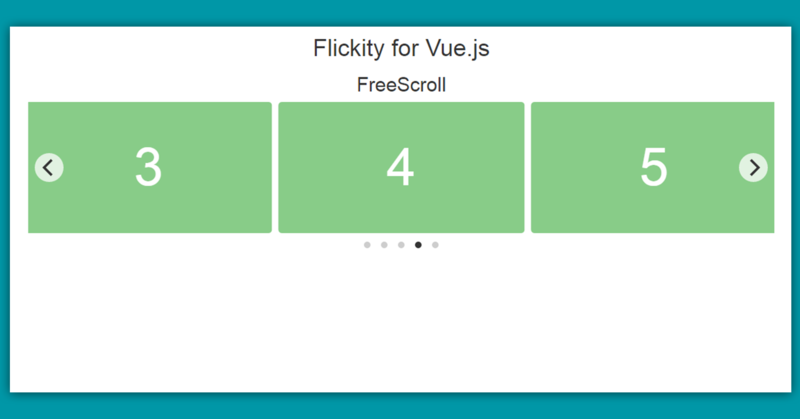 Flickity for Vue.js, is a Vue Component you can use directly to your app. Flickity provides all sorts of flickable carousels. For more options which can be used, consult the Flickity API. Bind directly to the options you have set. You can link directly to Flickity files on unpkg, and find the styles you can apply to it. Supports only Vue >= 2.